The Escalation Protocol is part of the second DLC expansion pack for Destiny 2, arriving in the Warmind DLC. In this Destiny 2 Escalation Protocol guide, we'll be providing you with a full walkthrough for unlocking and completing the horde-like mode. But what other new content is featured in the Warmind expansion for Destiny 2? For all you need to know about the new DLC expansion, including the launch time, file download size, and all the new story content and Strikes you can play through, head over to our complete Destiny 2 Warmind guides hub. 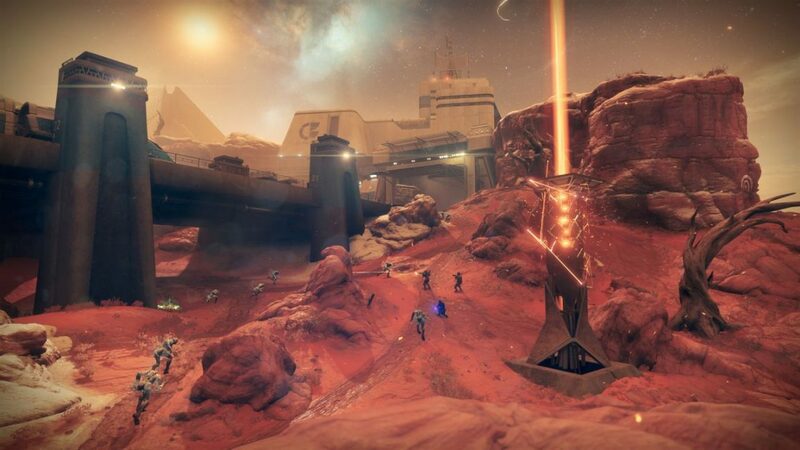 You can see a slice of Escalation Protocol gameplay in Destiny 2 just below, and you’ll note that you have to proceed to a specific location on Mars to kick off the mode, not unlike the Public Events. Once you begin the horde mode, you’ve got a very limited amount of time in which to kill all the Hive enemies that spawn in the surrounding map area, before you fail the mode. 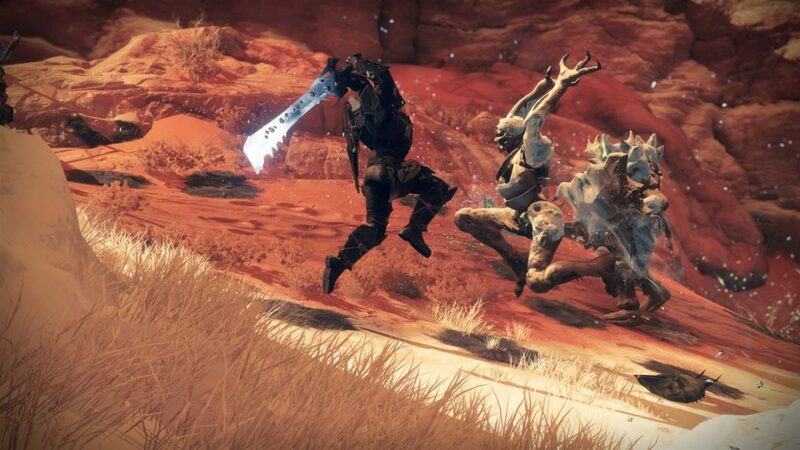 There are seven total waves for one run through of the Escalation Protocol, and you’ll always encounter a unique boss fight as part of the seventh and final wave. However this boss will be on a weekly rotation, so look for it to switch out and change when the weekly reset for Destiny 2 comes into play. There are actually five total bosses spread out over the course of a single Escalation Protocol run, and all of these bosses will be switched out for a refresh every week. When you beat the bosses as part of waves three and five, a chest will appear that gives you a chance to obtain some of the rarer items earned through playing the horde mode. We should note that although the Escalation Protocol horde-like mode is one of arguably the best features of the new Warmind DLC for Destiny 2, you'll unfortunately need a Power Level of 380 to even think about undertaking the gauntlet. This is unfortunately an especially steep level requirement for entry, and you'll need to get grinding out the Heroic Strikes if you want to increase your Power Level quickly. 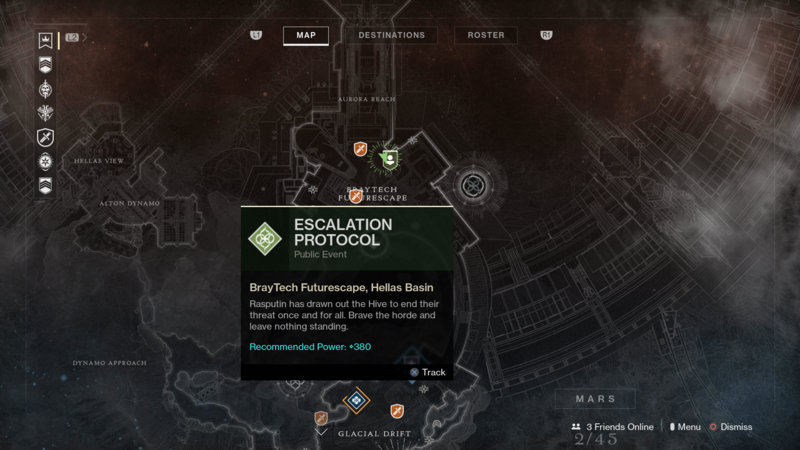 However there are some rather intricate details about the loot drops for the Escalation Protocol mode. While you can earn both weapons and armor items from playing Escalation Protocol, the weapons you can earn won’t have a higher Power Level rating than 340, which is the new soft level cap for the Warmind expansion. Before you participate in the Escalation Protocol mode, you'll probably want to earn yourself some Encrypted Cache Keys. You can earn these elusive items once per week by turning in seven Rasputin Key Fragments to Ana Bray, and once you've earned the encrypted verison of the key, you can undertake the Escalation Protocol. Now, when you defeat the boss in level seven of the new horde mode, you'll unlock a Decrypted Cache Key, which you can then use to open the powerful loot chest that the final boss drops after they've been defeated. It's through this that you'll earn elite items like the Rasputin armor set, a rare armor set that Bungie teased before the Warmind expansion had even launched. As for the other armor items you can obtain through playing the horde mode, they drop in a specific order, so that you don’t obtain duplicates until one armor set is complete. The order that you’ll obtain gear items for a single set in Escalation Protocol is as follows: class items, leg armor, gauntlets, chest armor, helmet. Bungie previously revealed that you can obtain some of the very best Legendary and Exotic items through playing Escalation Protocol, including unique armor sets and weapons featuring a shotgun and a sniper rifle, that you can’t obtain anywhere else in Destiny 2. We'll keep this guide updated with some of the rarer, more powerful gear items that players have earned through undertaking the Escalation Protocol event. This might be everything you need to know about the new Escalation Protocol horde mode in Destiny 2’s Warmind expansion, but make sure to check out our complete Destiny 2 Warmind Exotics guide, where we’ll walk you through all the brand new elite items you can get your hands on right now, or our Rasputin Armory Codes guide, where we'll walk you through how to use an item you might earn through playing Escalation Protocol.